Rachelle Ann Go will be joining the cast of the Broadway return of the legendary musical "Miss Saigon." The 30-year-old Filipina singer and actress will be reprising her acclaimed performance as Gigi Van Tranh in the West End revival of the musical, for which she received the "Best Supporting Actress in A Musical" at last year's What's On Stage Awards. Also part of the Broadway cast are Devin Ilaw, who will play the role of Thuy; Jon Jon Briones, who will act as the Engineer; and Eva Noblezada, who will play as Kim. 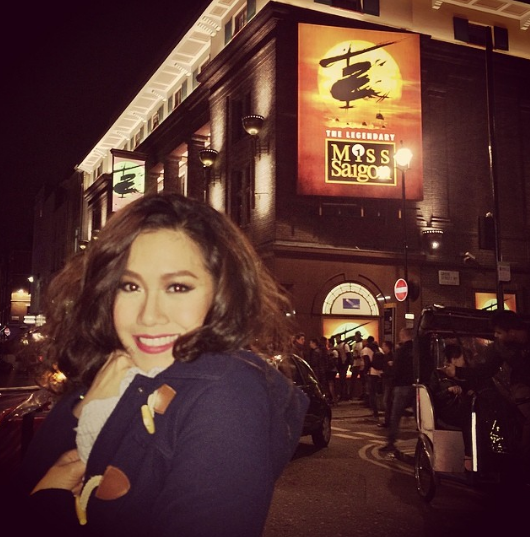 The opening night of the Broadway revival of Miss Saigon will be on March 23rd.